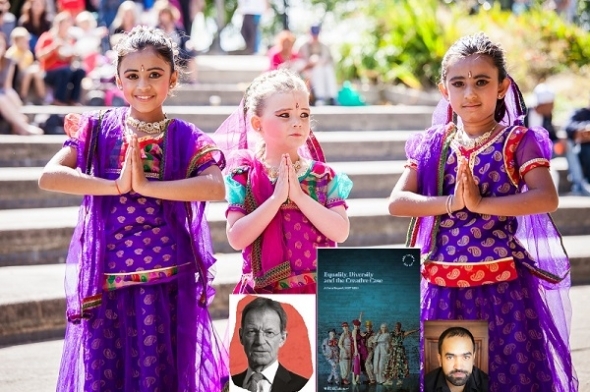 WHILE there has been progress in more Asian, black and other minority groups getting jobs in theatres and museums– much still needs to be done, recognises the Arts Council. The principal body for arts funding in England and Wales published its fourth annual Diversity report, ‘Equality, Diversity and the Creative Case’, yesterday (February 12) and concluded that on many areas it is still “treading water” (in its own words). More Black Minority Ethnic (BME) individuals are coming into roles in the sector covered by the report which looks at National Portfolio Organisations (NPO) and Major Partner Museums (MPM) – but the number of individuals from this group still remains underrepresented overall. While the national average of the working age BME population is 16 per cent, only 12 per cent are currently employed in the arts sector. More encouragingly, the number of ethnic minority people in top jobs in the theatre has gone up. The number of ethnic chief executives has increased from eight per cent to nine per cent and the number of artistic directors increased from 10 per cent to 12 per cent. This compares favourably with some of the UK’s biggest corporate entities. 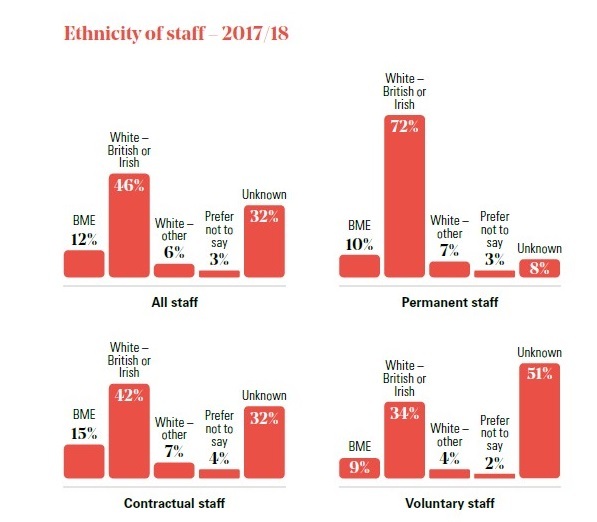 A Government report last year cited that just eight per cent of the country’s FTSE100 firms had ethnic minorities as directors – shockingly only two per cent of these were from the UK. Hussain did not want to be complacent and stressed that more work was being done to address representation and equality within the arts sector. He said the Arts Council was very aware that the drive to get a more representative population into employment in theatres and museums had to be more than just simply about numbers and tick-boxing. “We are developing tools to help organisations recruit,” he explained. The Arts Council will aim to produce literature at encouraging best practice in terms of recruitment and retention and support organisations that seek to change and improve their work in this area. 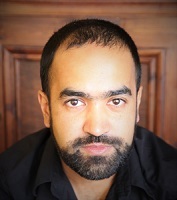 Hussain joined the Arts Council in 2001 and has seen many developments over time in this area of policymaking. A father of three girls now, he said he had rarely come across many plays that had any characters who shared their names. “They can’t see their identities represented. (Actor) Riz Ahmed talks a lot about how in the 1980s he got excited when he saw a black or Asian family on TV – once it’s the norm and not a stereotype, we can develop a generation of actors and directors, rather than lawyers and accountants,” he said. 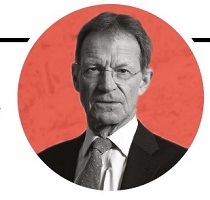 Sir Nicholas Serota, chair Arts Council England, said: “The data from our annual diversity report shows where we are on the journey to become better representative of society. At present there a is not huge amount of data on diversity of audiences – Hussain told acv that he expects more work on this to be done over the coming year as NPOs receive the first set of funds. The latest report covers NPOs which were funded by the Arts Council in 2015-18. An NPO is usually a (physical) theatre, theatre group or organisation which receives a fixed amount of funding from ACE over that three-year period. New and more diverse organisations are funded in the new 2018-22 NPO programme but the figures relating to these groups will only be available next year. There are only 21 MPMs covered in this report – almost all the museum sector, over 60 institutions are covered in the 2018-22 tranche of funding. 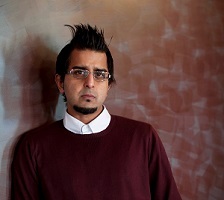 *Madani Younis picture, courtesy of The Bush Theatre where Lynette Linton has taken over from him.